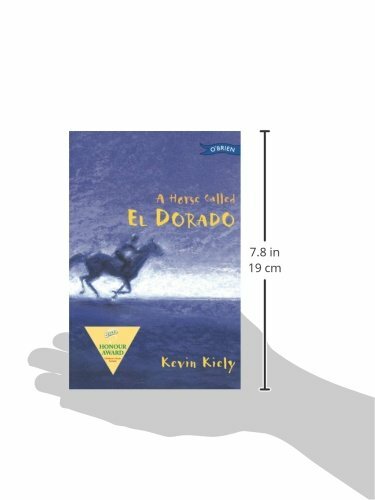 The first two thirds of this book provide an eventful yarn about the terrors and joys experienced by a half Colombian, half Irish boy growing up in a jungle commune beside a tributary to the Amazon. He is abandoned by his father when his mother finds a new man, and shortly afterwards the commune is attacked by murderous and exploitative guerrillas. Pepe is sent off on his beloved golden horse to hide the commune’s money, and on returning he and El Dorado are instrumental in saving his comrades from massacre. However, his mother decides to leave for the city, and the most fascinating part of the book is an account of how Pepe endures the long and gruelling peregrination that takes him from rainforest shacks to his grandparents’ organic smallholding near Kells. There he has to endure the insular ignorance of a village school until an encounter with another horse changes his fortunes again.